Medical-focused missions tend to be staffed by family practitioners, internists, ER physicians, dermatologists and pediatricians. Surgical-focused missions are dependent upon the availability of the specialties. 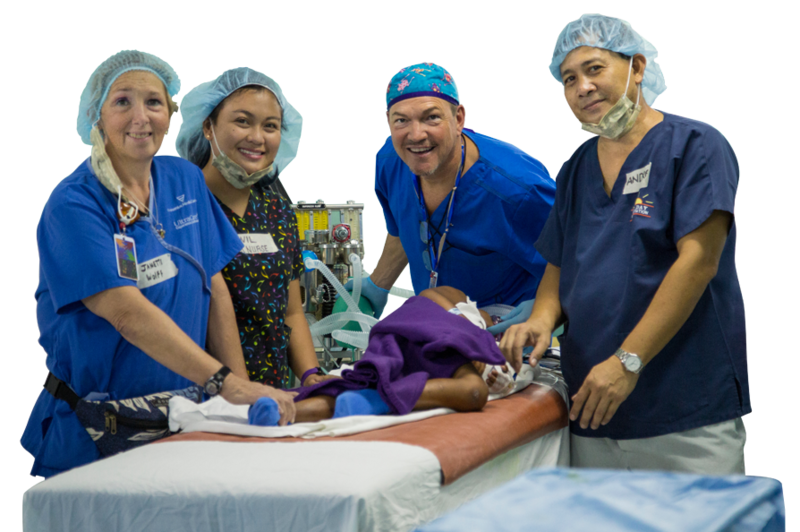 Most missions have general and plastic surgeons as the core group. Anesthesiologists are key members of the team and are often in short supply. Gynecologists, ENTs, and ophthalmologists are extremely useful but are difficult to recruit. Dentists are also in great demand. Mission sites are generally in small rural towns where the population is most frequently medically underserved. Gynecologists will perform both transabdominal and vaginal hysterectomies and oophorectomies. Uterine prolapse is a commonly encountered condition. Ophthalmologists are in great demand to perform cataract extractions.